A large section of the Toddler 1 classroom is devoted to Manipulatives. 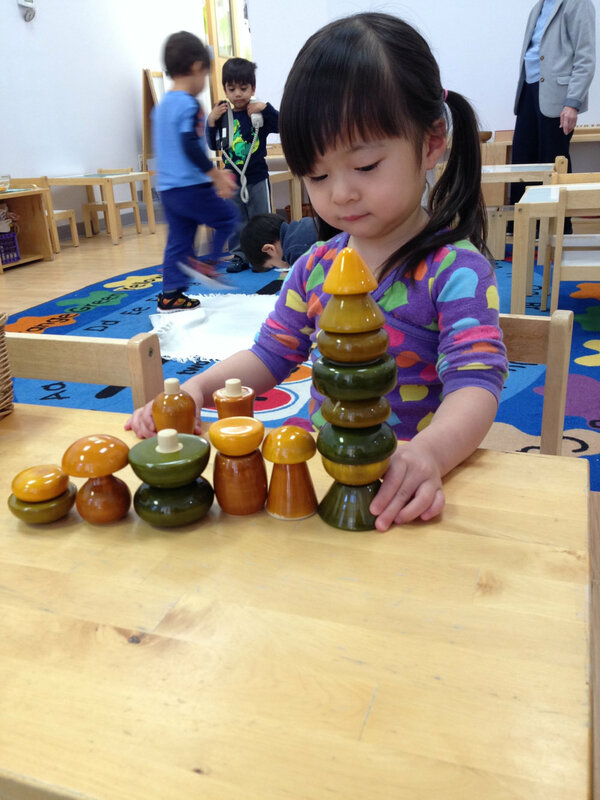 The materials in this area give the children the opportunity to make discoveries, explore physical objects and solve problems by getting their hands on materials like puzzles, blocks and nesting cups. 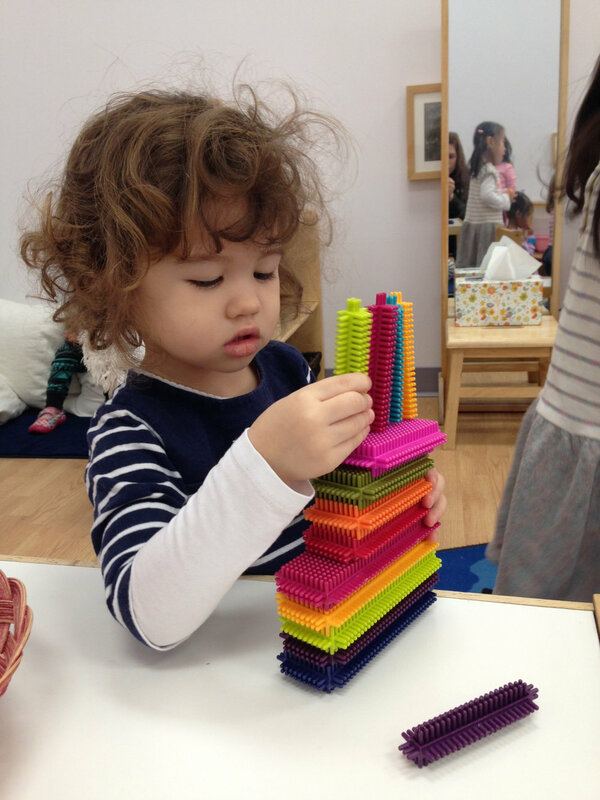 Particularly for young children, who are not developmentally ready to understand many abstract concepts, the manipulation of concrete objects is essential to their understanding of the world around them. Using these activities helps to develop eye-hand coordination, fine motor skills, patience and dexterity. These materials also invite deep concentration as the children explore the many ways in which the objects relate to one another.